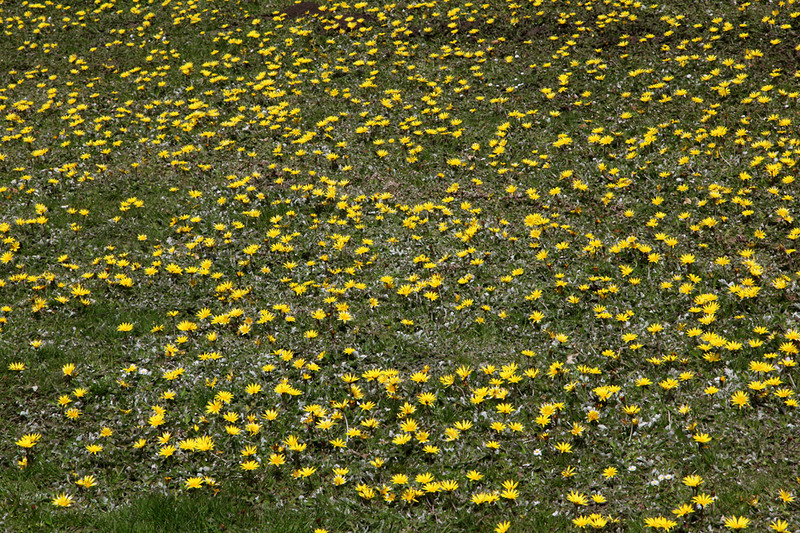 On Friday, I returned from New York to gorgeous weather. 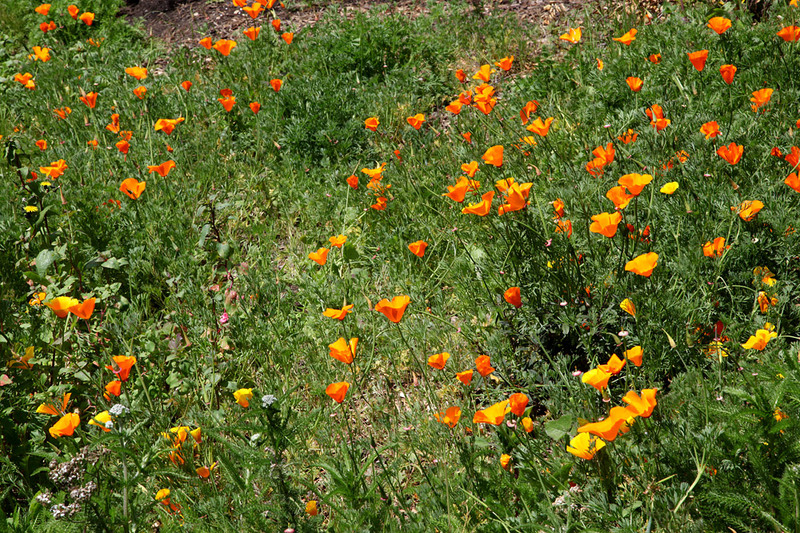 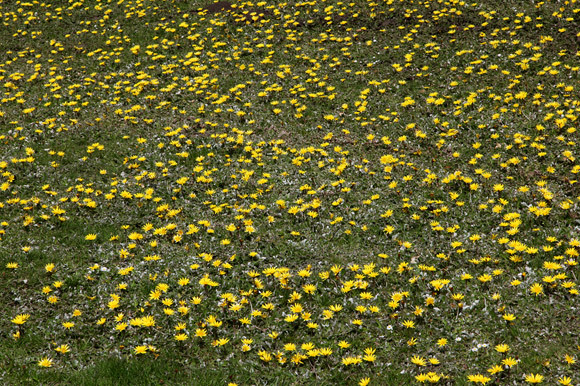 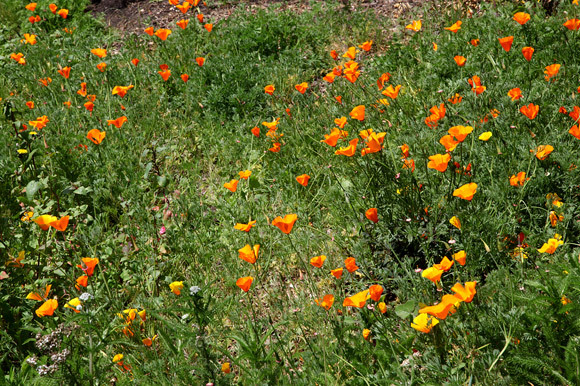 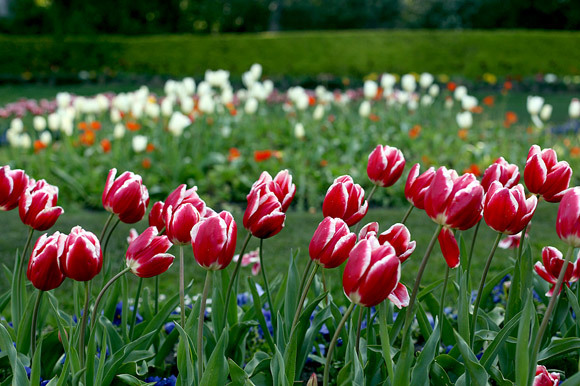 Every flower seemed to be in bloom, and the birds and bees were getting it on. 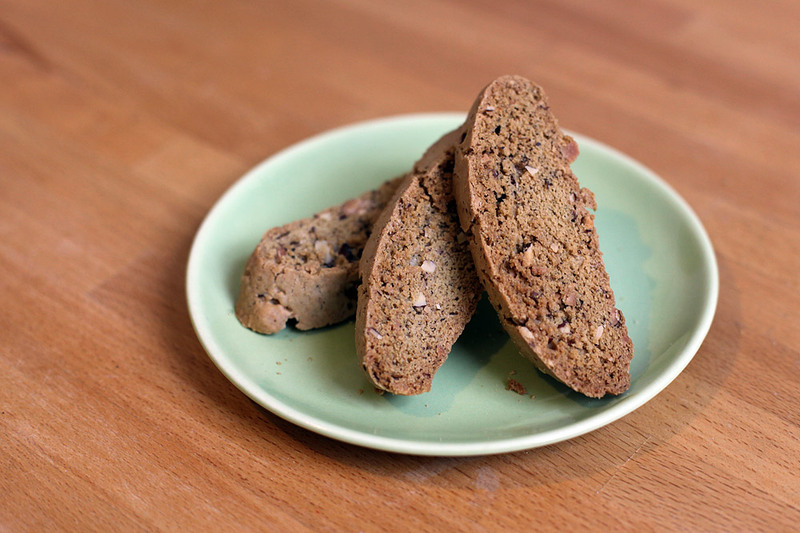 Biscotti made by a hottie. 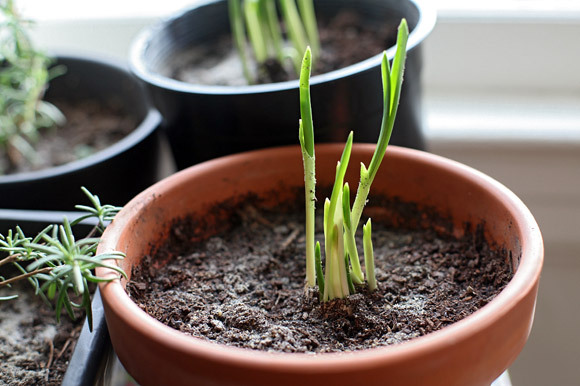 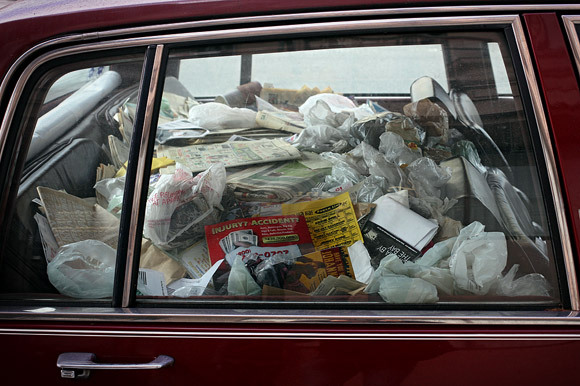 A vampire’s least favorite window crop. 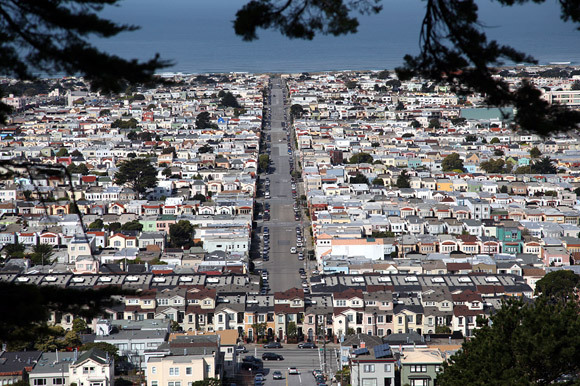 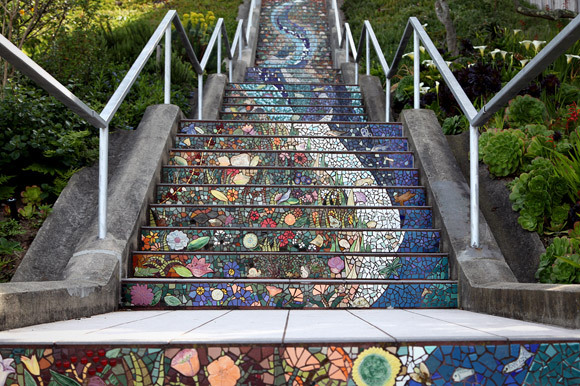 The 16th Avenue tiled steps to Grand View Park. 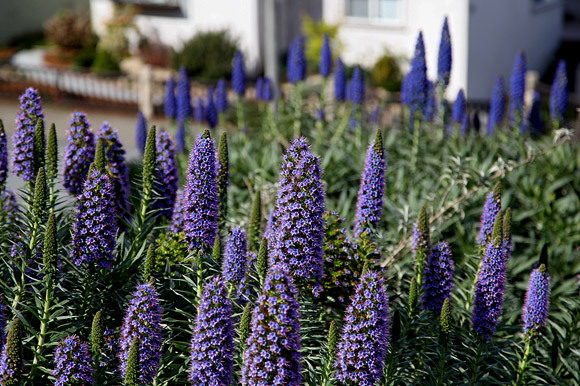 The blues and the bees of pride of madeiras. Looking towards the mighty Pacific. 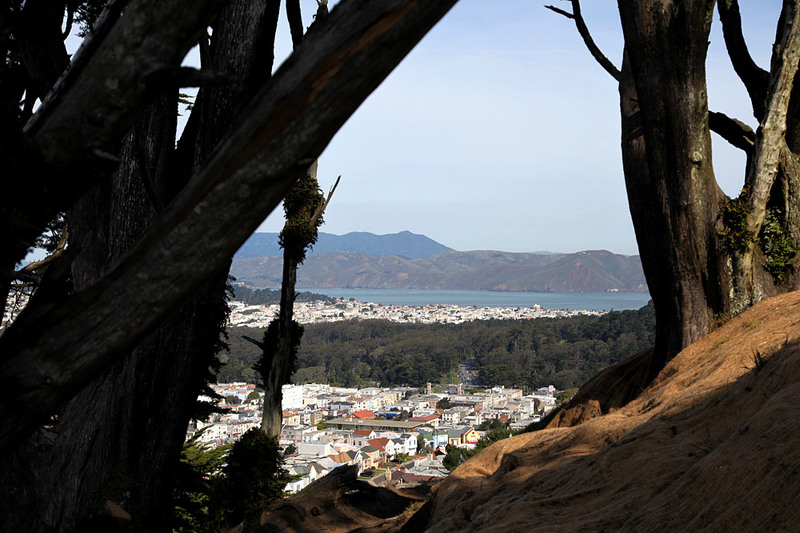 Looking north through the trees. 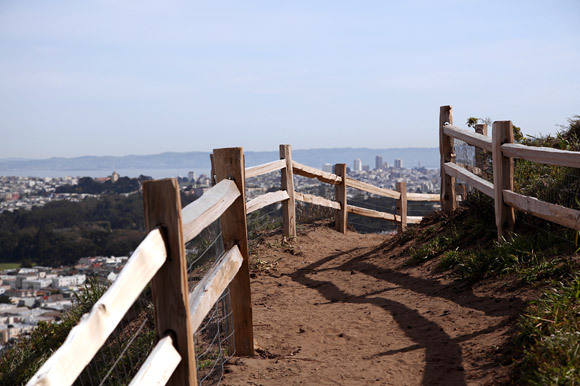 Pro tip: use the wooden rails to prevent you from falling off the hill. 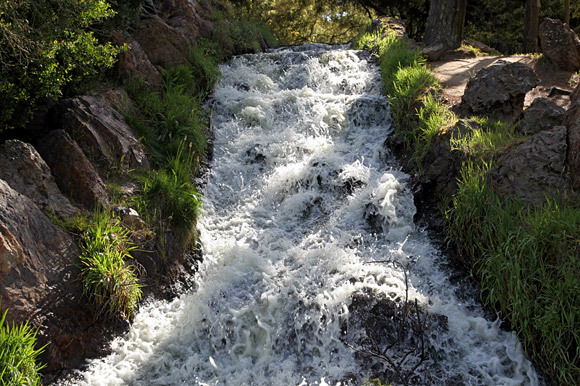 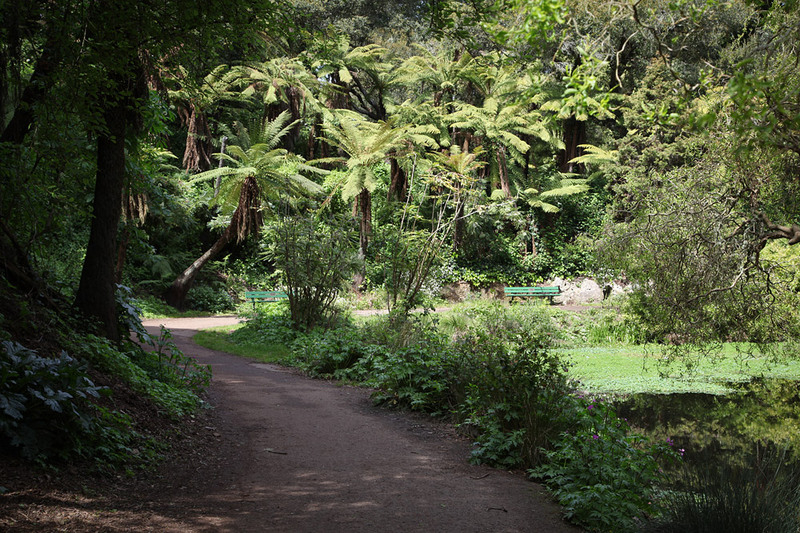 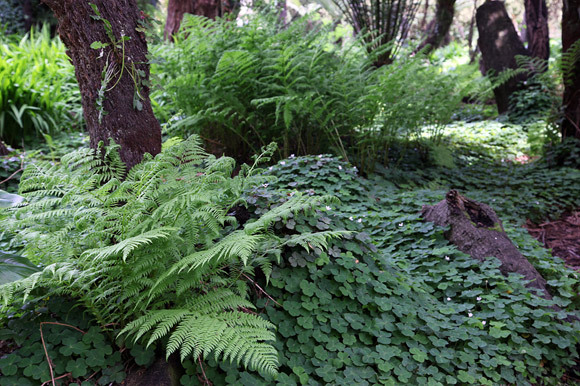 Golden Gate Park’s Lilly Pond, now 99% free from carnivorous frogs! 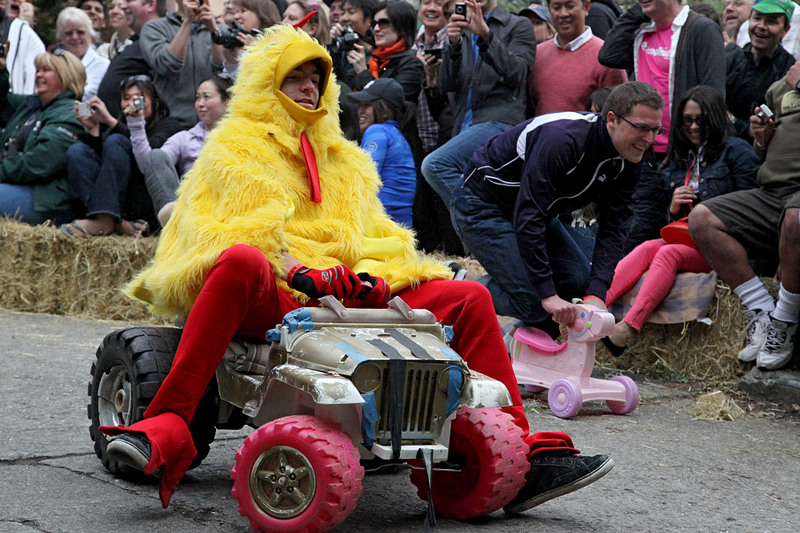 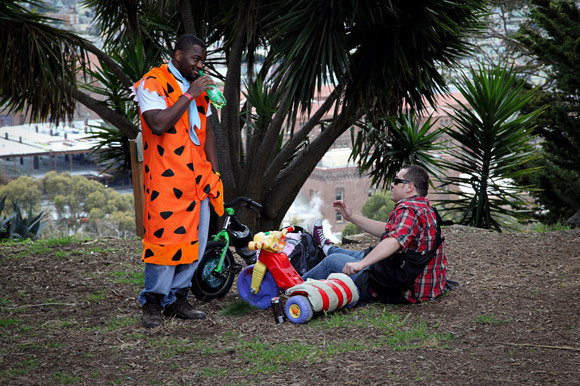 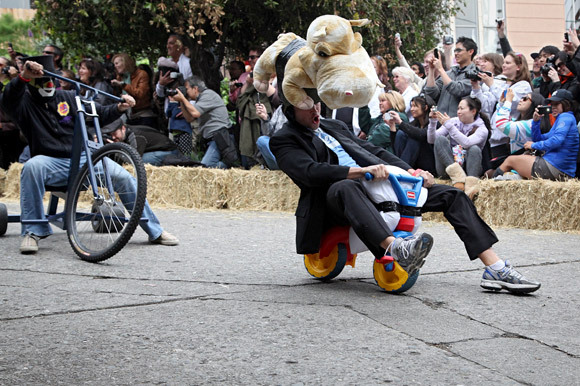 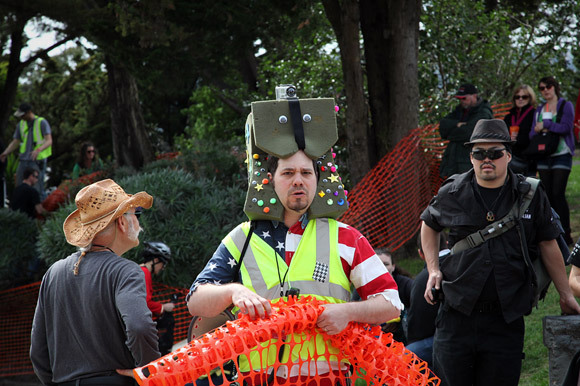 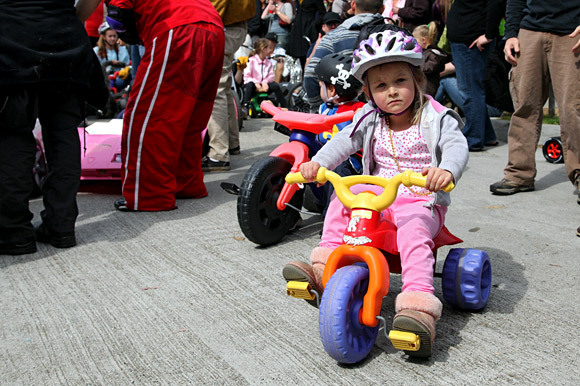 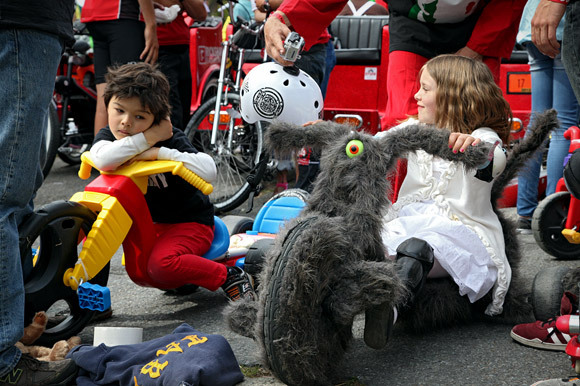 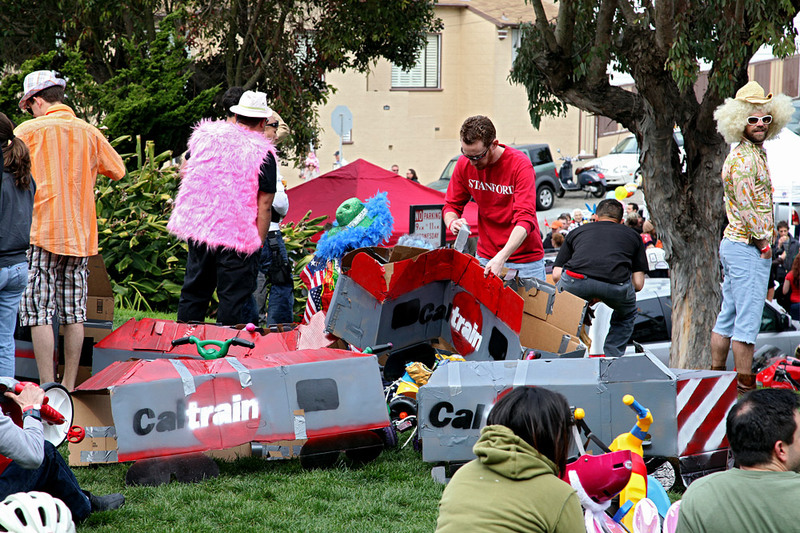 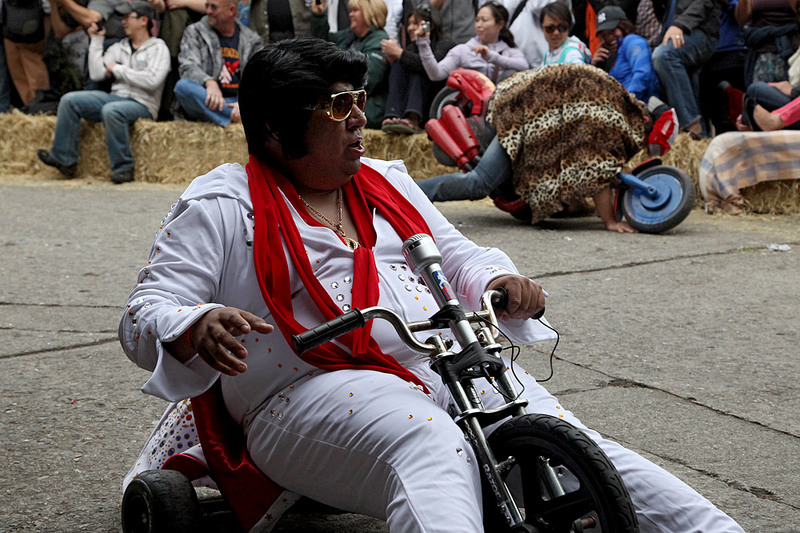 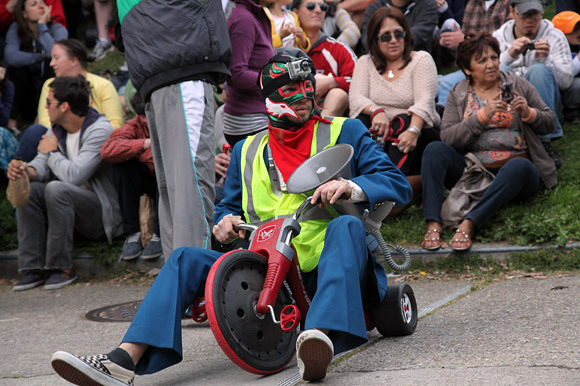 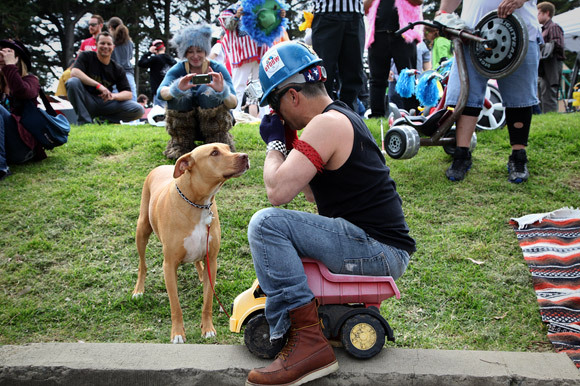 On Easter Sunday, I biked to Potrero Hill with N to watch Bring Your Own Big Wheel 2012. 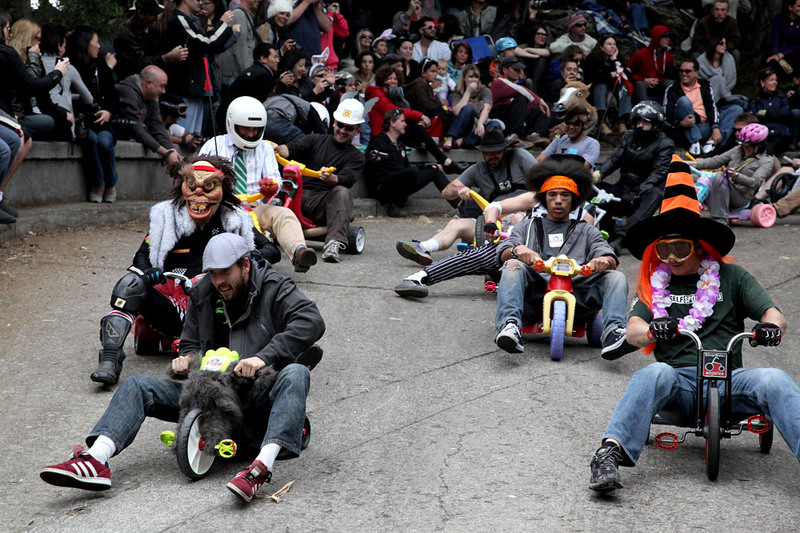 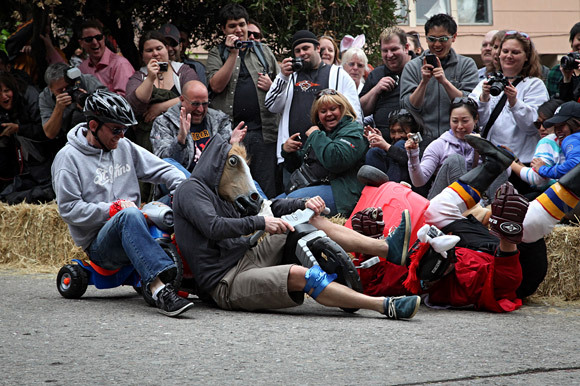 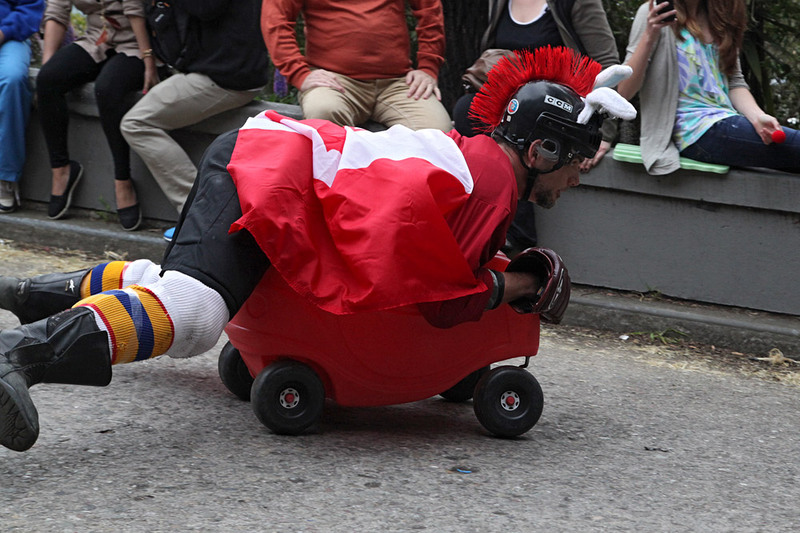 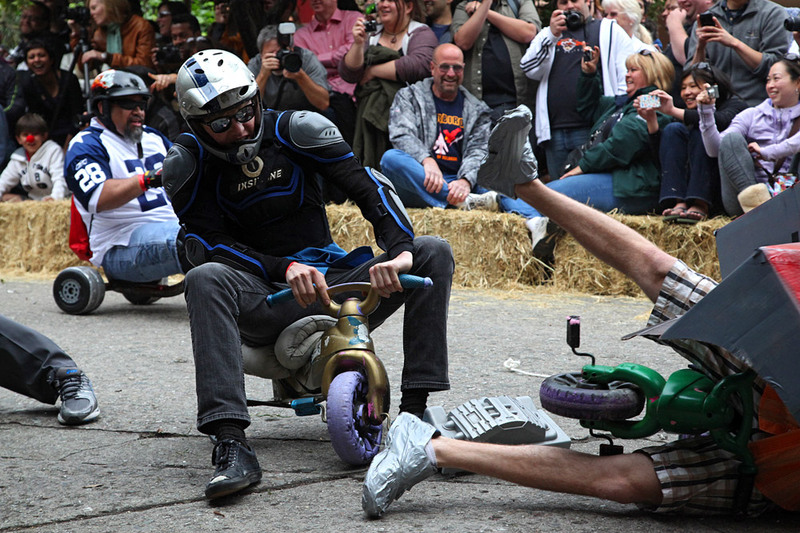 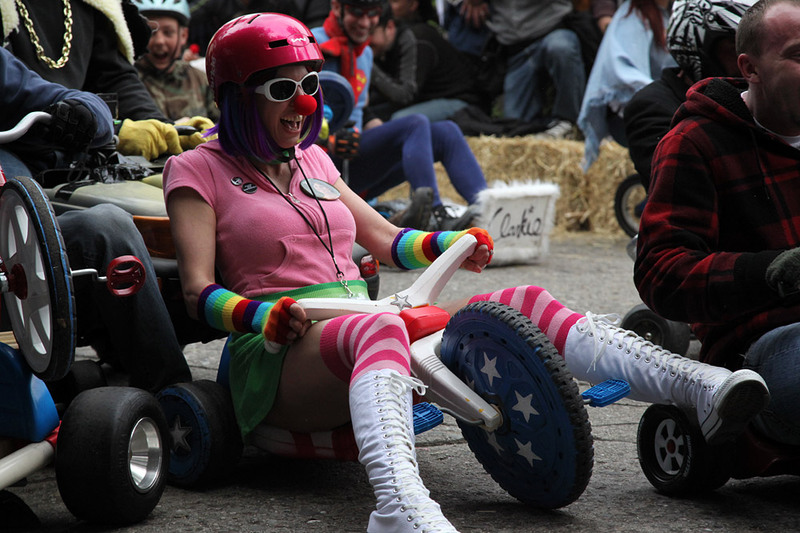 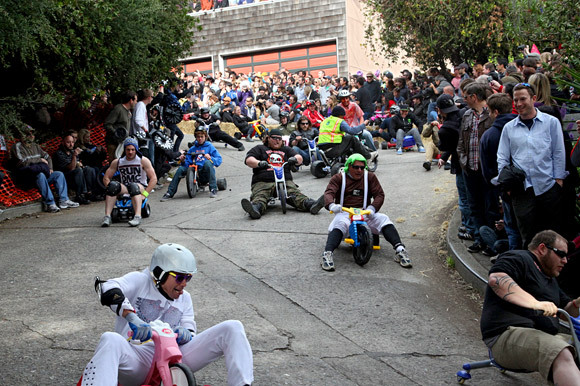 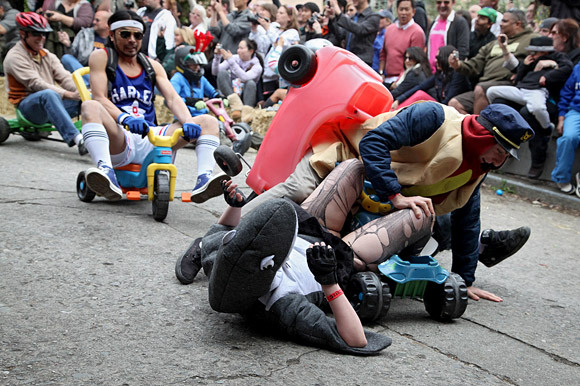 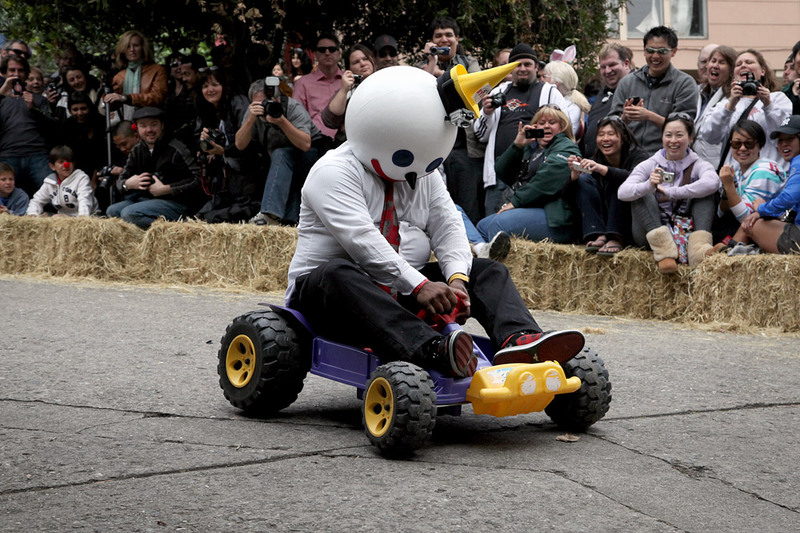 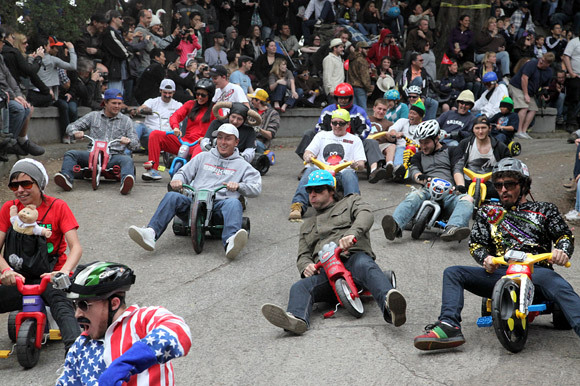 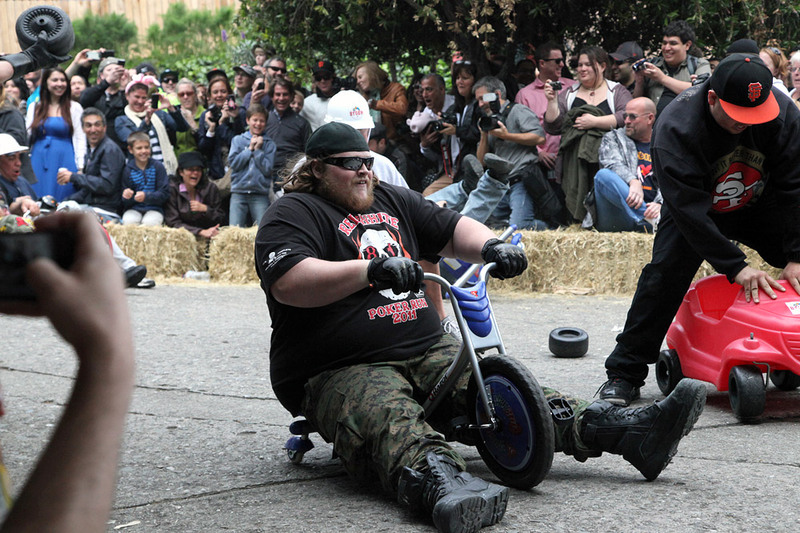 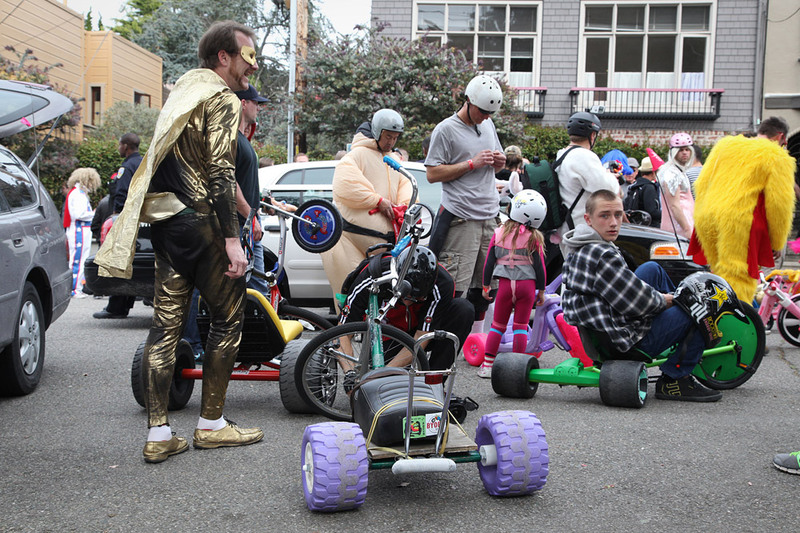 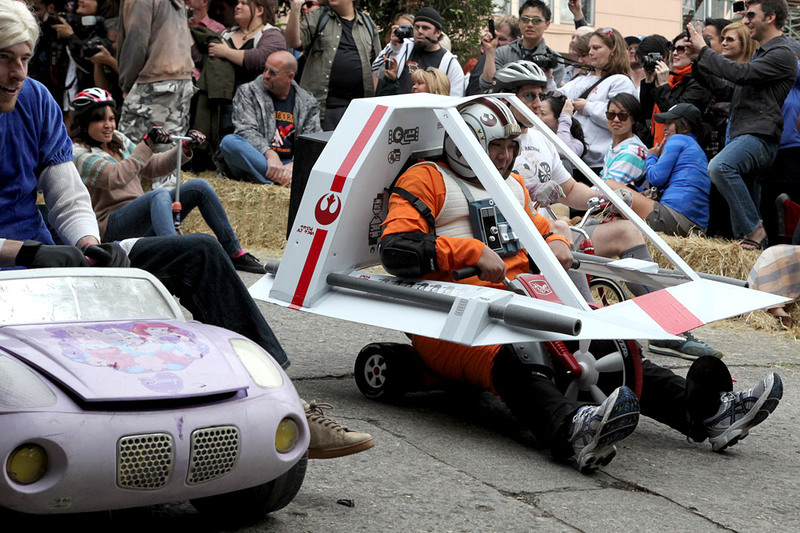 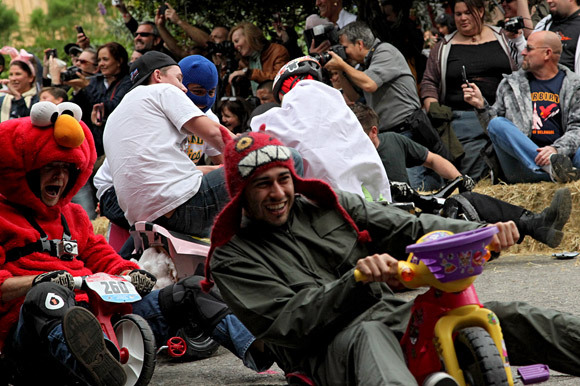 BYOBW started on the crooked part of Lombard, but soon outgrew it. 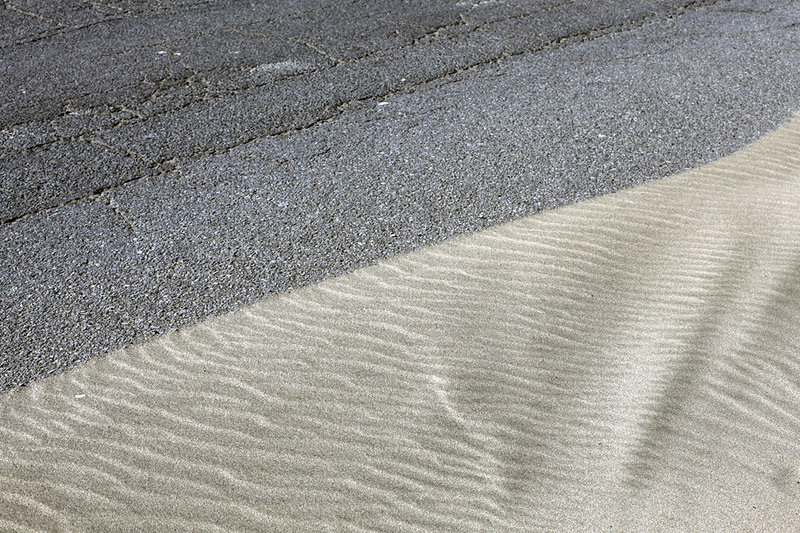 The new location was on Vermont near 20th, a little know but even more steep and twisting street. 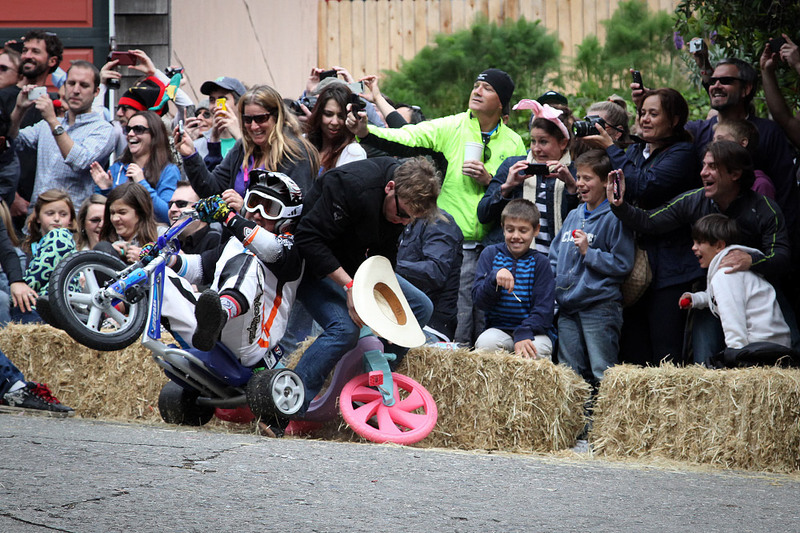 Hundreds of spectators were out to watch hundreds of racers varying in age, costume, and craziness. The children’s lap was first, followed by waves of adults. 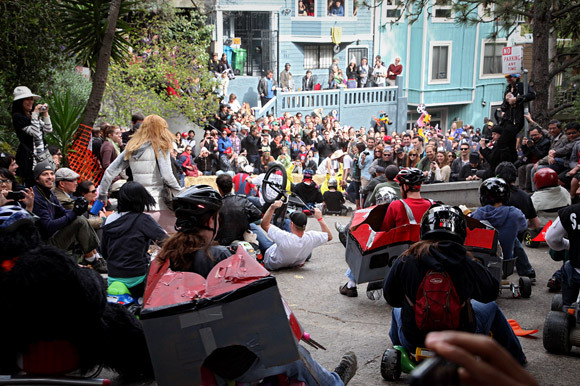 Riders skidded out of control, smashing into each other and barricades. 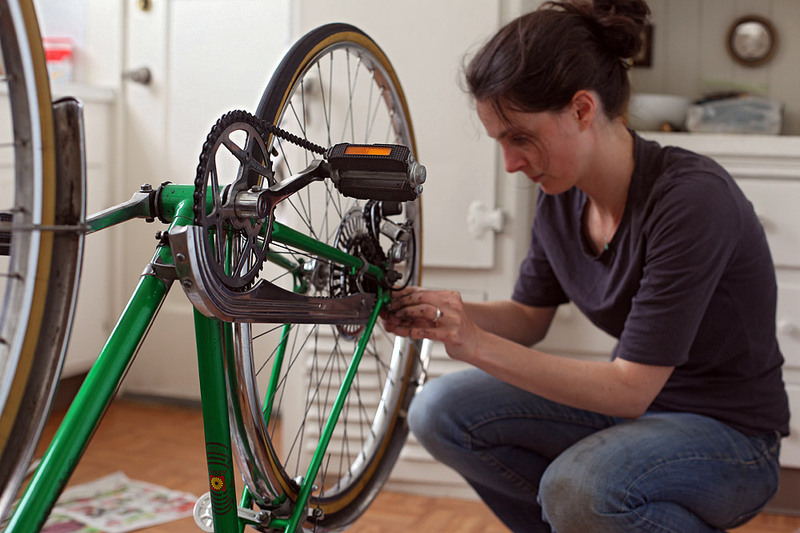 Costumes were torn, wheels and bike parts flew off. 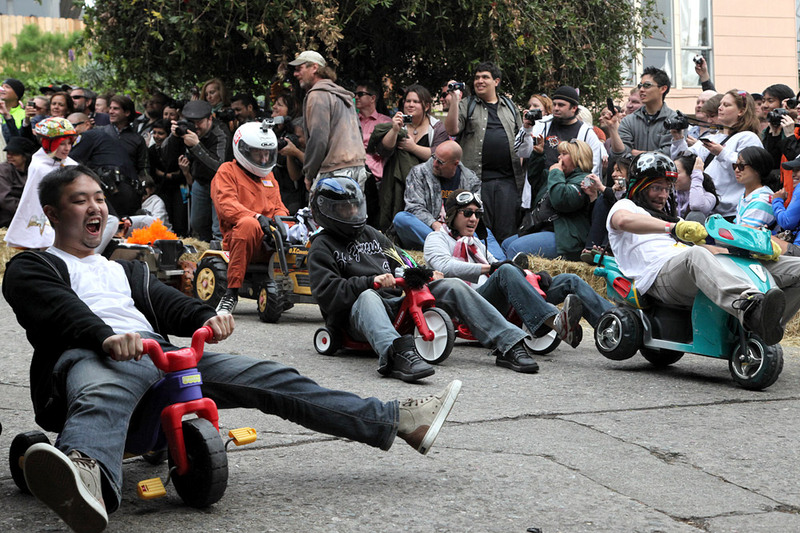 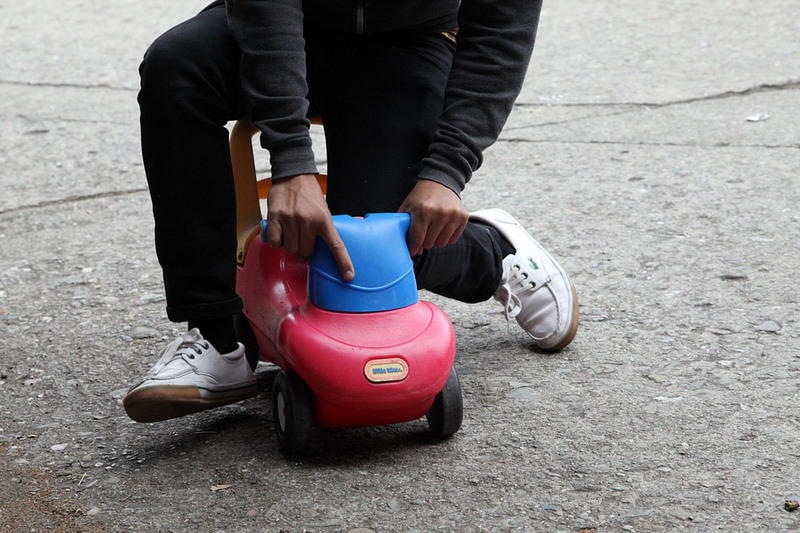 It was hilarious to watch, like Mario Kart in real life minus the power-ups. 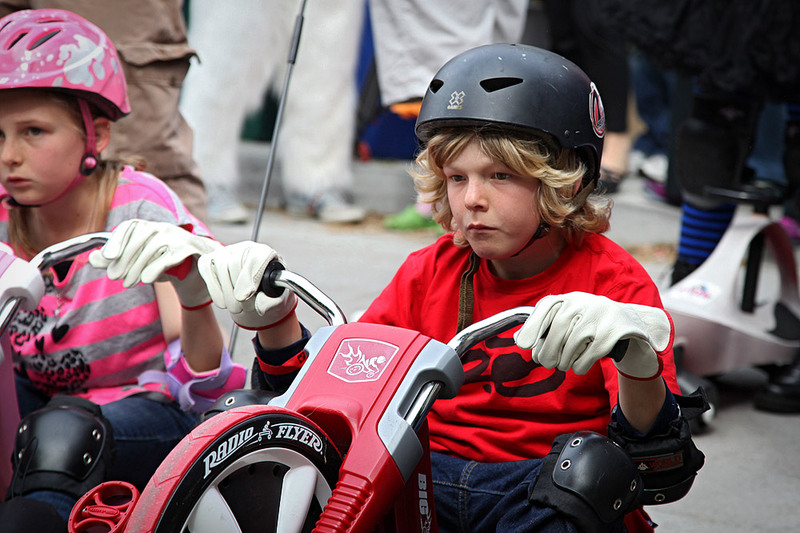 The confident and the meek. 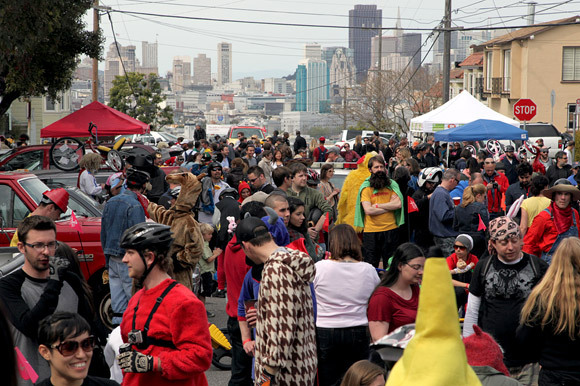 Crowds at the top of the hill. 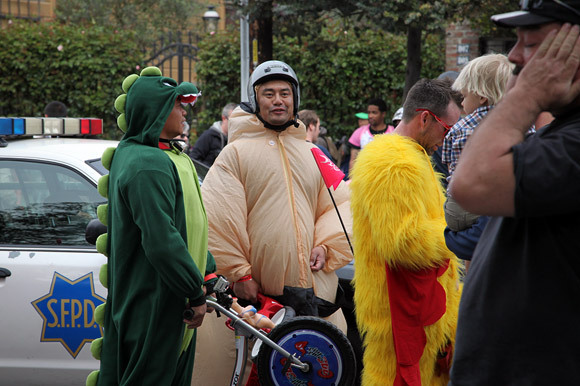 Gator, Sumo, and Big Chick. 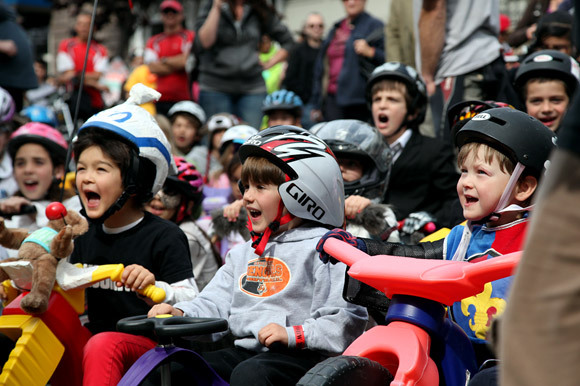 The starting line of the kid’s race. By comparison, the bike ride home was mundane. The smile muscles in my face were starting to cramp from lactic acid. 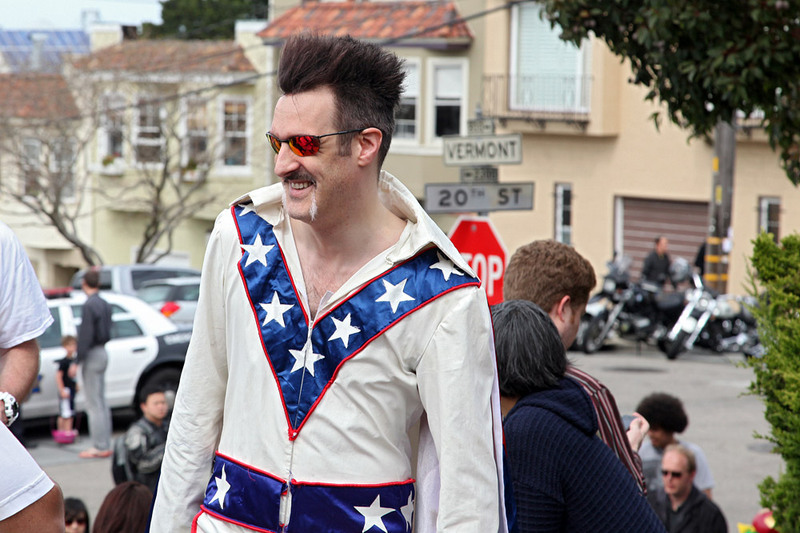 I was happy to be living in this weird city.